Please note the change, Currently, Rs.50 tickets will not be issued at ttdsevaonline, it is only Rs.300 tickets for Darshan. Sudarsanam 50 Rupees ticket is a daily ticket and is available for online at a specified slot. Only one Darshan Slot per day. 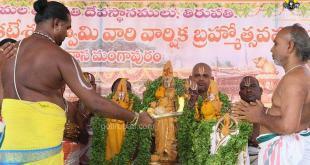 Sudarsanam 50 rs ticket Tirumala online booking Darshan Timings slot is 5:0o pm – 6:00 pm. Update on 6th Jul 2016: Rs.50 tickets will be issued only at the TTD counters for Non-peak days. Please visit nearby TTD centres to book the tickets. 2) Pilgrim can book Sudarsanam 50 rs ticket online a day in advance to 56 days. 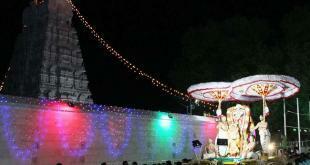 3) Tirumala Darshan Tickets are not required for Children Up to Age 12 years of age. 4) Rs. 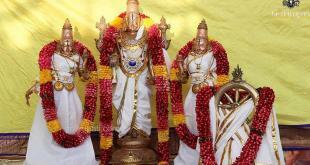 50 Tickets Darshan are issued only through online and e-Darshan Counters. There is no ticketing Issuing Counters in Tirumala for Rs. 50 Darshan Tickets. Please leave your comments on Sudarsanam 50 rs ticket Tirumala online booking Darshan Timings below, we will get back to you at the earliest. Share Sudarsanam 50 rs ticket Tirumala online booking Darshan Timings Info online by clicking SHARE buttons. Farhan of Rs 50 on 16.05.2019 can you help us. Rs 50 darshan is not available and only Rs 300 darshan is available, if you need a package from Bangalore please call at 8500898000 . Hi. Sir, July Month Accomodation Slot When Opening…??? Its already released and booked ,The next quota will be released on May 3rd at 10 am . Its already done on 17th april for more details please call at 8500 898 000 for alternate darshan packages.